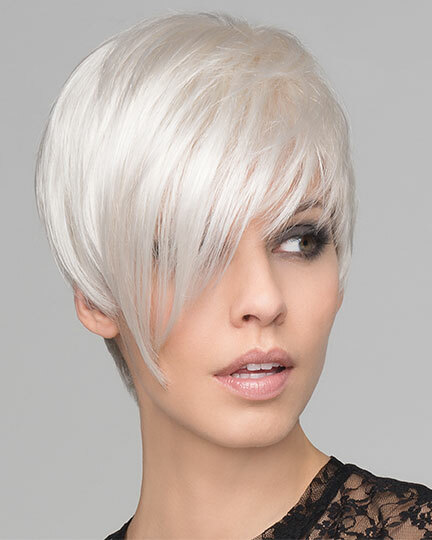 Special Note: This collection was designed specifically for women experiencing hair loss. Availability: Free Shipping in the US - Aura arrives in about a week. 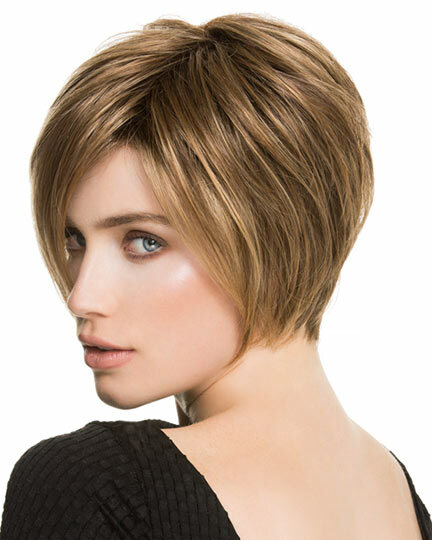 Front: 3.25", Crown: 3.0", Sides: 2.25", Nape: 2.0"
Aura by Ellen Wille radiates chic sophistication. 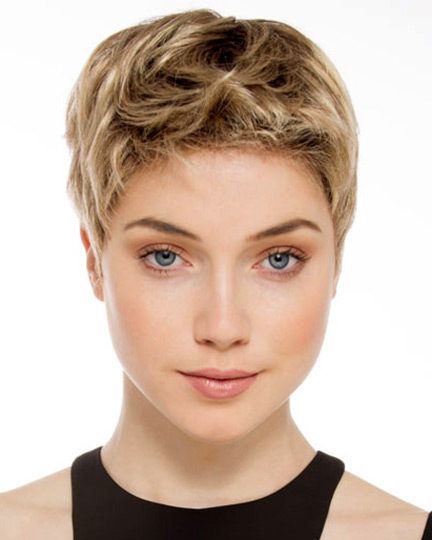 This timeless, short cut is able to be styled many ways and also features a fascinating neckline that hugs the nape perfectly. 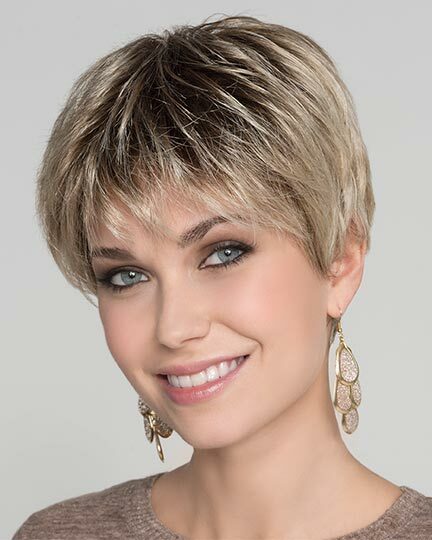 Ellen Wille Aura wigs feature a 100% hand-tied, monofilament, with a beautiful lace front. 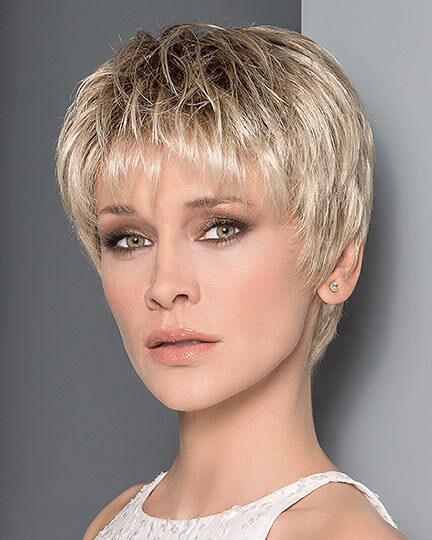 Aura has an impeccable ear to ear extended lace front that offers styling versatility and a seamless, natural appearance. 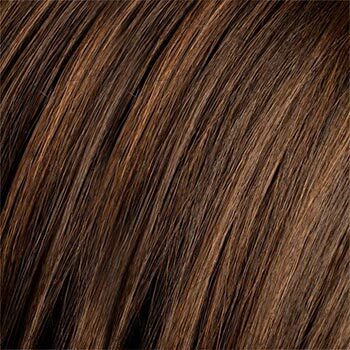 The premium synthetic fiber used to create the Aura emulates the appearance, feel and movement of biological hair. 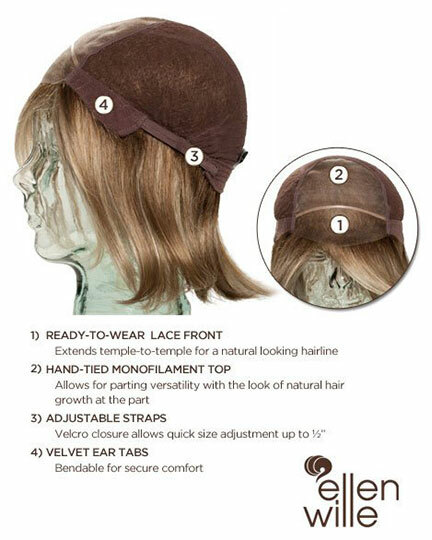 Ellen Wille has designed the ultimate cap construction for the Aura wig to provide comfort with lightweight wear, offering an ideal solution for women experiencing minimal to total hair loss. 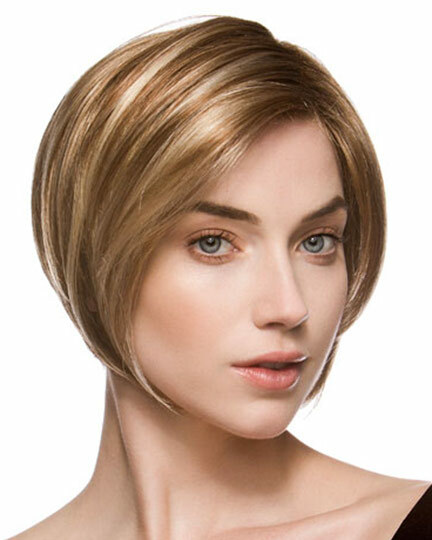 The Aura wig weighs 45.4 grams. To Buy Aura, Click On A Small Swatch Below. This is the best wig I have owned. It is soft unlike others and it is lightweight and comfortable. It is low density compared to others and no trimming or thinning was needed. Highly recommended.